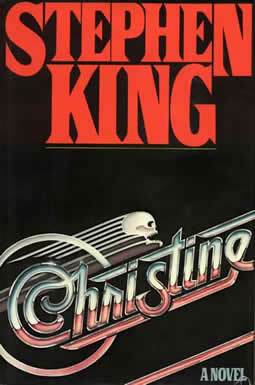 It was Christine, Stephen King’s 1983 novel about a 1958 Plymouth Fury possessed by its dead owner, that made me a writer. I read it during the fall of 1983, my freshman year in high school. It wasn’t the first of King’s works I’d read; the previous summer, I’d checked Cujo out of the local library; before that, some time in seventh grade, I think, the little Scholastic literary magazine we received every month had reprinted King’s story, “Battleground” (edited, as you can imagine, for language [though not, as I recall, for violence]). I had read Cujo in part because Patty Taylor, with whom I’d gone to St. Columba elementary school for a number of years, possibly as early as first grade, had been a die-hard King fan for at least a couple of years, possibly longer, and her devotion had made an impression on me, made me think I should have a look at one of King’s books. 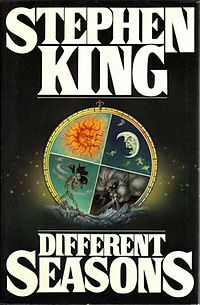 There was also the sense that King was a more grown-up writer than I had been used to; I wasn’t sure in what way, but my parents, who hadn’t read him, expressed concern that he might be too mature for me (which, with the benefit of hindsight, I realize meant they were worried there might be a lot of bad language in his fiction). I’m not sure why I slipped Cujo from the library shelves; maybe it sounded less out and out intimidating than some of the other books? Whatever the reason, I didn’t connect with the book. I didn’t hate it; I just found the portrayal of its protagonists’ troubled marriage foreign emotional territory. It wasn’t enough to put me off King altogether, though, which was why, later in the fall, when the paperback edition of Christine was released, I picked up a copy at the local Book & Record. And man, what a difference. I’ve talked in previous interviews about the way the book spoke to my bleeding adolescent heart, my sense of myself as an outsider, self-consciously smart, a nerd, a comic book fan, a teacher’s pet, as far from athletic as it seemed possible to be, as well as the manner in which the book’s villains embodied my caricatured sense of the kids who mocked and picked on me, the jocks and the more affluent students. Don’t get me wrong: even at the time, I understood that both the novel’s heroes and its villains were more exaggerated than both myself and my high school nemeses actually were. But the book cut to the emotional core of my nascent high school experience with astonishing power. Not to mention, the supernatural elements, which were as over the top and extravagant as anything I’d read in Robert E. Howard or Lloyd Alexander, and which culminated in a battle against the evil car that deliberately invoked the clash between a mounted knight and a monster, a dragon. I read that book, and I loved it, and I would read it again and then a third time; before I was done with that first reading, however, I knew that this, writing, writing like this, was what I had to do. That experience, of feeling yourself selected, picked out by a work of art to make similar art, is one that fascinates me. You don’t find it in every writer’s biography; although Lovecraft talked about it in relation to Poe, and Ramsey Campbell in relation to Lovecraft, and King himself has spoken of it in relation both to Lovecraft and Richard Matheson. 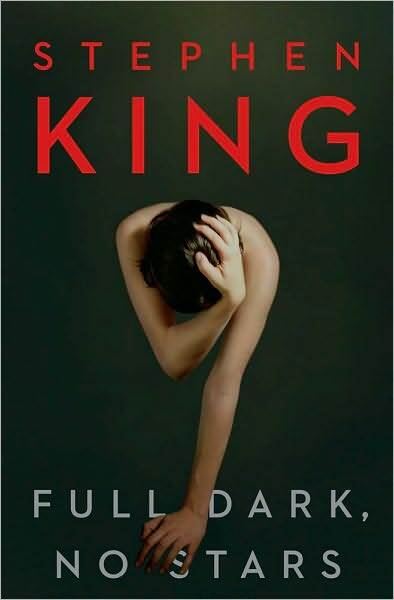 It’s a sensation I’ve continued to experience over the years, every time I sit down with King’s latest novel or collection of stories, a combination of engagement and inspiration, a re-connection to what feels like one of the wellsprings of my own creativity. It’s funny: for reasons I can’t quite remember now, I was thinking the other day about the books I’ve continued to re-read over the years. It’s a strange list: The Good Soldier, The Great Gatsby, My Mortal Enemy, Great Expectations, The Portrait of a Lady, The Turn of the Screw, Heart of Darkness, Ghost Story, and Koko are some of the titles on it, as are Pet Sematary, The Shining, Night Shift, Skeleton Crew, and Danse Macabre (I quote that last one all the time). 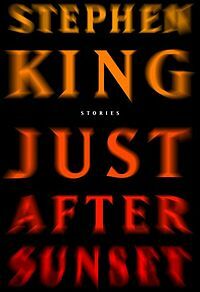 It says something profound to me about King’s work that it’s capable of sustaining that kind of repeated attention. At the end of Christine, there’s the suggestion that the evil car has not been truly defeated, that it’s on its way for the novel’s protagonist. It’s meant to be an unsettling image, and it is, but it’s the one I want to close this short birthday appreciation with, a figure for King’s ongoing importance to me and to so many other writers. If it’s a little sinister, I’m sure he’d be fine with that. This year marks a sad anniversary, a decade since the passing of writer, editor, and critic Charles L. Grant. For those who don’t know his work, Grant was part of the group of horror writers who came to prominence in the 1970’s, a group that numbered Stephen King and Peter Straub among its members. Contemporary writer and critic Neil Snowdon has set about commemorating Grant’s death by asking interested writers to contribute essays on and appreciations of the man and his work, which you can find here. Although I didn’t know Grant personally, I’ve come to appreciate his fiction more and more as the years have gone by. Here’s something about one of his more famous stories. For me, the principle pleasure of participating in Neil Snowdon’s worthy blogathon has been the opportunity it’s provided for me to revisit Charles L. Grant’s fiction. In the effort, if not obsession, to remain au courant in my reading, there’s a tendency to give short shrift to re-reading. As a consequence, I can neglect fiction which benefits from a second or a third look—or perhaps it would be more accurate to say, fiction which can sustain a second or third look. And if there’s one piece of advice that I would give to anyone approaching Grant’s work, either for the first time or after many times, it would be to re-read it. 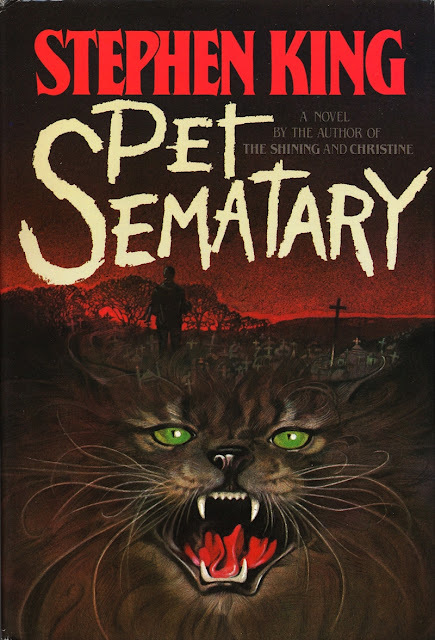 Take “Home,” the story that Stephen King, in his introduction to Grant’s 1981 collection, Tales from the Nightside, ranked with Ramsey Campbell’s “The Companion” and Charlotte Perkins Gilman’s “The Yellow Wall paper” as one of the three best horror stories ever written. It begins at night, with the sound of violence, a “fight, if that’s what it was,” which is “vicious, swift, and punctuated with such high shrieking yelps and truncated dying howls” that it awakens Art, the story’s protagonist (Grant 32). His wife, Felicity, murmurs that the noise must be dogs and urges him to go back to sleep, assuring him that he’ll learn the cause of the commotion soon enough, in the morning. Significantly, Art has been yanked from a dream of the early days of his marriage, when he and Felicity enjoyed a romantic dinner on a boat on the Seine. After the sounds outside, he cannot return to sleep, or to his pleasant memory. Instead, he emerges from his house the next morning to the sight of police cars and a van from the local ASPCA parked up the road, and blood visible on the street. A neighbor’s dog, an Irish setter well-known for tussling with other dogs, has met a gory end, presumably at the teeth of a bigger, meaner dog. The death has occurred in front of the house of another neighbor, an older man, Calvin Schiller, who has moved there within the last year. Felicity suggests Art consult with Cal, ask if he knows anything about what happened. Art demurs, reluctant to approach the man due to a weird feature of his property. Although the man himself has neither children nor grandchildren, his yard is full of toys and play sets. Reflecting on his hesitation to speak with his neighbor, Art thinks sourly that it is typical of what his middle-aged existence has become, a retreat into lethargy mental and physical. It’s already apparent that Art will find his way to Cal Schiller’s house, and that the old man will possess information about the death of the dog. However, before their first conversation, Grant fleshes out the details of Art’s life. His and Felicity’s marriage is still passionate, yet it’s equally prone to squabbles and disagreements. His job is an exercise in frustration, his salary stagnant, his boss hostile and unappreciative. His only child, a son, is aimless, an incipient college drop out. In the meantime, another neighborhood animal, a Siamese cat, is brutally murdered, and a couple of local children are bitten by…something. There are darker reports, too, of a pair of older kids, runaways, found murdered. And throughout the story, the summer heat renders each day oppressive. When Art finally finds his way to Cal Schiller’s front door, he receives a friendly welcome and a can of cold Australian beer. More importantly, he finds in Cal an agreeable conversationalist, who answers Art’s questions about the toys in his yard with the revelation that he plays occasional babysitter to his neighbors’ grandchildren. Embarrassed at his previous suspicions, Art departs, his opinion of the old man improved to the point that he calls on him again in another couple of days. In his bourgeoning friendship with Cal, it seems Art might find his way out of the dark rut into which his life has fallen. Of course, this is not the case. Art discovers that the children’s amusements around Cal Schiller’s house are for nothing human, and the revelation comes at the expense of his life. Reduced to a single-sentence summary—a man discovers his elderly neighbor is caretaker to a pack of monsters—“Home” might sound familiar, an example of the trap story, in which the protagonist rushes headlong to the thing that’s going to kill him. It also touches on the equally familiar theme of the dangers of knowledge. The point to be made, however, is that this is not a single sentence, but a story’s worth of them, which Grant has assembled into a microcosm of middle-aged frustration and fear. The parameters of Art’s existence, his assorted disappointments, are laid out as deftly as those of any character in a story by John Cheever or John Updike. He struggles to uphold his marriage. His job is subject to the whims of his boss, and to the larger vicissitudes of the economy. He fights disappointment with his child. The creatures that have him at the story’s end, whose features Grant only hints at, are a kind of fulfillment of his existence, a next step, symbolically speaking. It’s possible to read the story’s title ironically. Art is killed in the place he considers his home, i.e. his place of refuge and safety, by things that have claimed it as their home. Undoubtedly, such a reading pertains, but it’s equally possible to read another kind of irony into the title. Even before Cal Schiller and his inhuman brood moved into the town, Art’s home was not what he thought it was, had not been for years, if ever[i]. In this and in so many other stories, Grant constructs a fictional universe in which whatever monstrous or supernatural elements occur are not so much invading an unspoiled Eden as they are echoing and perhaps amplifying what is already wrong with a place. It’s a narrative strategy employed by Grant’s contemporaries, Stephen King and Peter Straub, and that descends, at least in part, from one of his great ancestors, the Ray Bradbury of the Dark Carnival stories and of Something Wicked This Way Comes. It’s also present in some of Grant’s literary descendants, particularly a story such as David J. Schow’s “Not from Around Here.” What Grant and these others do in story after story strikes me as a challenge to the assertion that American horror fiction, writ large, tends to concern a threat to an idealized locale by an outside force which is subsequently defeated and the ideal defended. Rather, a story such as “Home” demonstrates that the ideal was always already spoiled, that the monsters that menace us find their reflections in our daily lives. In his 1985 collection of interviews with horror writers, Faces of Fear, Douglas Winter begins his interview with Charles Grant by quoting David Morrell’s description of Grant’s work. “Stephen King and Peter Straub are like the luxury liners of the horror field,” Morrell says. “They’re always visible on the horizon when you look out over these deep, dark waters. But Charlie Grant—he’s the unseen power, like the great white shark, just below the surface” (Winter 109). It’s an apt simile for the way in which Grant’s fiction achieves its considerable effects. The surface of the water rises and falls from its myriad causes, with only the slightest of ripples revealing what is barreling towards us, mouth open to rows of sharp, sharp teeth. City, Arkham House: 1981. 32-47. Winter, Douglas E.. Faces of Fear. New York, Berkley: 1985. [i] I have to admit to wondering about the significance of the character’s names, which seem to me to verge on the allegorical, like something out of Hawthorne (not a surprise, perhaps, given the story’s New England setting). Art’s wife is Felicity, whose meanings include good fortune. Cal’s first name recalls Calvin and his awful, uncompromising God. Art’s own name, in its shortened form, suggests the made world. So, in this allegorical chain of reasoning, the happy world of human artifice is overtaken by a vengeful Deity. A couple of things I’ve run across on the Interweb lately have me thinking about influences. If you know, me, then you know that this is one of my abiding interests. I’ve published a couple of scholarly articles on it, and should I ever get around to finishing my long-on-hold dissertation, this will be its subject. Anyway, during this time, I went to a reading by the late John McGahern. For those of you who don’t know his work, he was an Irish fiction writer. I had just read and been very impressed by his novel, Amongst Women, which concerns a family dominated by a tyrannical patriarch, Moran. After the reading, I had McGahern sign my copy of Amongst Women. As he was writing in my book, I couldn’t help myself. I asked him how he, as an Irish writer, felt having to write in the shadows of Joyce and Beckett. Wasn’t it intimidating for him as a fiction writer to have to follow in the footsteps of such giants? How did he do it? I’m guessing this wasn’t the first time McGahern had heard this question, or some version of it. Well, he said, he didn’t think of Joyce and Beckett as competitors. He thought of them as allies, great allies for a writer to have. I thanked him and took my book, but I’m sure my lack of satisfaction with his answer was plain on my face. We were talking about James Joyce and Samuel Beckett here. How was it possible to see them as anything other than fearsome predecessors who had already occupied much of the aesthetic territory a fiction writer might wish to explore? The same was true of Hemingway and Faulkner. How could McGahern claim them as fellow-travelers, as friends, even? From the vantage point of the two-plus decades that have elapsed since then, my own anxiety seems glaringly, painfully apparent. Some writers never get past it: late in his life, you find Hemingway writing to Faulkner about their great predecessors, evaluating them as if they were boxers, declaring himself and Faulkner able to take everyone but Tolstoy. If that’s part of your artistic psyche, then I guess there isn’t much you can do about it. And certainly, every writer, no matter how secure, experiences those moments of uncertainty, of anxiety, of jealousy. Especially, when you’re working in what seems like a smaller field, like horror (or weird)(or strange)(or whatever) fiction, the presence of other significant writers, whether those who’ve gone before and continue to be revered (i.e. Lovecraft), or those whose body of work helped to bring the field greater popularity (i.e. 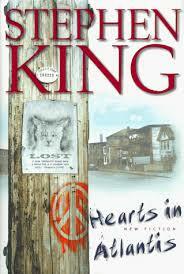 Stephen King), or those who are doing dynamic work that’s gained a lot of attention (i.e. Laird Barron) can feel like a threat to what you’re doing, can feel as if it’s going to distract attention from your fiction. Which in turn leads to all kinds of Oedipally-inflected behavior, trying to minimize those figures whose presence seems most overwhelming. I think, though, that McGahern had it right. Those writers, the Lovecrafts and the Kings and the Barrons, are in fact allies. Their work is a testament of faith to the field in which I work. The range of their stories, of their styles, helps to demonstrate the variety of plot and style I strive for in my fiction. To be fair, it took me years of developing confidence in my own fiction, in the stories I wanted to tell and my ability to tell them, to arrive at such a view, for what once sounded absurd to sound reasonable. I have to say, though, that it’s a nice feeling, to see yourself surrounded by allies, instead of enemies. The list is accurate because these are works to which I’ve returned time and again, and which have stuck with me in the years (in some cases) since last I read them. It’s unsatisfying because it might consist of another ten works with equal accuracy. It’s interesting to me to note how many of my choices are books of King’s stories. I think it was Harlan Ellison who said, some years ago, that it was in King’s stories that you found his greatest accomplishments. I’m not sure I’d completely buy that, but there’s an awful lot of good stuff in a book like Night Shift or Skeleton Crew. People’s mileage with King tends to vary, the way it seems to with Tolkien. I love his stuff, and can’t wait to get back to it. 1. 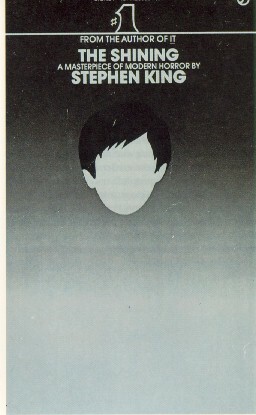 Stephen King Christine: This was the book that made me want to be a writer. I read it in paperback during the fall of my freshman year in high school, and experienced something like a conversion experience. It wasn’t just that I wanted to write fiction–previously, I’d wanted to work in comics, preferably as a writer-artist–I wanted to write horror fiction. It had something to do, I think, with his ability to bring together something that looked like the world of my daily experience with the material of the fantastic. 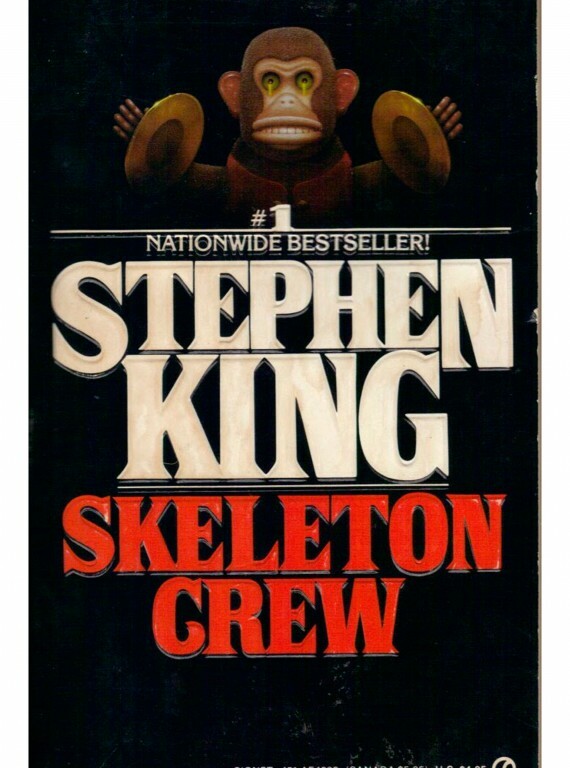 All of King’s work has been tremendously important to me, from his stories and novellas to novels such as The Shining, Pet Sematary, and Misery, but this was the one that started it all. 2 & 3. Peter Straub Ghost Story & Shadowland: I first read Straub at King’s suggestion (in Danse Macabre). Then I reread him. Then I read him a third time. And so on. I loved his work from the get-go, but for as much as I got from it, I was aware that there was a great deal I wasn’t getting. I found that incredibly cool. If, as Nabokov says, the literary is that which we are always re-reading, then Straub’s work is literature of the highest order. These may be my desert-island books: they work as narratives in their own right; they engage the history of the genre in which they participate; they do all kinds of other remarkable things. These are the books I would most like to have written, myself. 4. T.E.D. Klein Dark Gods: I knew T.E.D. Klein as the editor of Twilight Zone magazine, and it may have been in the pages of that publication that I read a review of Dark Gods, his collection of novellas, which made it sound like the kind of book I had to read. To my delight, the local library had it, in hardcover. It’s a virtuoso performance, one in which Klein, with seeming effortlessness, inhabits four distinct modes of supernatural horror. At a sentence level, he’s one of the finest writers to have attempted the horror story, which helps to give his stories the richness and depth of much longer works. 5. Charlotte Bronte Jane Eyre: I read Jane Eyre during my junior year in high school, for my Honors English class. I don’t know what I was expecting–something dry and tedious, I suppose–but I was completely swept up by Jane’s voice, by the passionate intensity of her response to her life’s changing (and challenging) circumstances. It didn’t hurt that there was a humdinger of a Gothic plot at the heart of the book, either. I think there was something, too, about the way that Bronte explored her character’s moral processes that really struck a chord with me. Jane is highly conscious of not only what she wants to do, but why she wants to do it–and why she should or shouldn’t do it–and this resonated with my adolescent self. 6. Charles Dickens Great Expectations: The first time around, I hated this book. My response may been influenced by the fact that I was reading it two days before I was due to take a test on it for the same Honors English class in which I read Jane Eyre, and I was having a hard time with it. In comparison to Bronte’s prose, Dickens’ struck me as tedious, meandering. Needless to say, I didn’t do particularly well on the test. I gave the novel another try during my undergraduate years, in a course on the Nineteenth Century English novel, but I didn’t like it much better, then. It wasn’t until the summer of my twenty-fifth birthday, when I was house sitting for a week, that I though it might be time to take yet another crack at the book. This time around, I was entranced. Dickens’ writing now seemed to me a kind of proto-stream-of-consciousness, his often baroque figures indexes of Pip–his narrator’s consciousness. Pip’s mind is a fairly Gothic place to begin with, and, like Jane Eyre, to which this novel increasingly strikes me as a kind of twin, there’s a heck of a Gothic subplot within his story. What struck me most about the book the last time I read it, a few years ago, is the utter ruthlessness Pip displays towards himself and the great expectations that shape his life. It’s a fierce, sad story, one of the greats. 7. Flannery O’Connor The Collected Stories: Another writer I hated the first time I read her. This was in my senior year of high school, in my College English class. We had to read the stories in Everything that Rises Must Converge, along with O’Connor’s second novel, The Violent Bear It Away. I had no problem navigating O’Connor’s prose, which was lucid, compelling, but the characters she portrayed, the situations in which she placed them, were unlike anything I had encountered before, the very definition, I suppose, of that trite term, Southern Grotesque. My initial impression was of unpleasant people in unpleasant circumstances that seemed humorous in a sinister kind of way. What helped me out of my adolescent priggishness was a remark about O’Connor I encountered in Stephen King’s Danse Macabre, in which King called her possibly the finest writer of short stories in postwar America (or words to that effect). 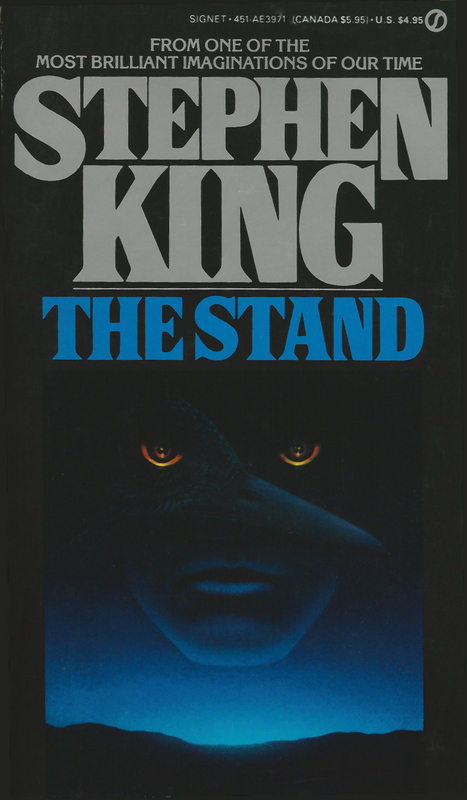 Well, if Stephen King thought O’Connor was good…I went back to her stories, and now, I saw their deep similarities to the horror narratives with which I was more familiar (and comfortable). These were narratives about women and men whose lives were upended by catastrophes whose metaphysical dimensions were full of terror and awe. As for the eccentricities of their characters: what does it say about me that, the older I’ve gotten, the less extreme they seem to me? 8. William Faulkner The Sound and the Fury: I read The Sound and the Fury during the my first semester of college, in my Honors English 1 class. We had to read the first two of its three stream-of-consciousness sections with no forewarning, and the result was disorienting, confusing. 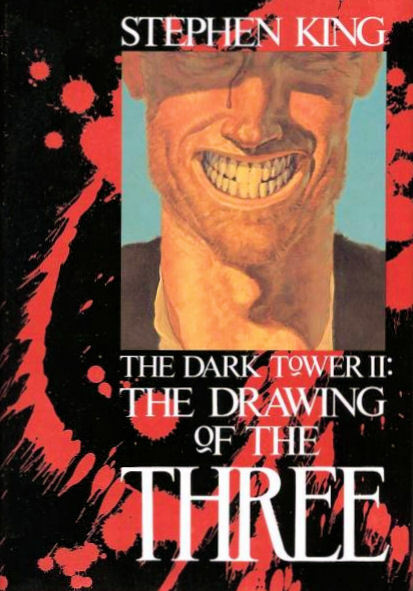 (For those who haven’t read the book, the first section inhabits the mind of a severely-mentally-handicapped man; while the second places the reader inside the consciousness of a college student on the day he’s going to drown himself.) During the next class, however, in one of the great teaching performances I’ve been present for, the professor took us back into those mazes of prose and pointed out the threads that would guide us through them. What had seemed formless, chaotic, slowly resolved into a kind of glorious Gothic coherence. I went back re-read the first half of the book, and raced to the end. At a certain point, I seemed to fall through Faulkner’s winding syntax, into the narrative, whose small cast of characters seemed like players in some kind of strange, mythic drama. This started me off on a Faulkner kick that extended over the next several years, from As I Lay Dying through Absalom, Absalom, Light in August, and Go Down, Moses. I agree with those who call Faulkner the American Shakespeare, and while I think Absalom, Absalom may be his single greatest accomplishment, The Sound and the Fury remains closest to my heart. 9. Henry James The Collected Stories: The last writer on this list I hated the first time through. (Funny how that works, though, isn’t it?) I read The Turn of the Screw during my senior year College English class. I was primed to do so by my old friend, Stephen King, who had had very complimentary things to say about the novella in Danse Macabre. This time, though, King’s praise was not enough. I experienced the same problem reading James I’d had the previous year with Dickens, namely, the language was so dense, so labyrinthine, that I became lost in it, rereading the same sentences over and over again and still not fully comprehending them. Interestingly–well, to me, anyway–what turned me onto James was reading one of his very last stories, “The Jolly Corner,” a few years later, in college. It’s a story whose prose if even denser than that of The Turn of the Screw, which you would think would have put me off it, immediately. Yet at some point not very far into it, I realized what the story was about: a man who was being haunted by the ghost of the man he might have been. That conceit electrified me, and while I wouldn’t say I raced through the end of the story, I finished it in a state of intense attentiveness. With that one story, my attitude towards James underwent a sea change, and since then, I’ve been slowly making my way through his work, sometimes at the rate of one or two new things a year, sometimes revisiting texts I’ve read before. I think his stories are my favorite of his work–and I’m stretching the definition of story to include things like The Turn of the Screw, The Aspern Papers, and In the Cage, which are at least substantial novellas. What I love most about James is the way he traces the responses of his characters to their situations, which quite often, when you boil it down, are fairly melodramatic. He is the great cartographer of perception, and I learn something from him every time I (re)read him. 10. Samuel Delany The Einstein Intersection: I must have known Delany’s name during my teens, when I was reading a lot of science fiction of the Asimov/Clarke/Heinlein/Niven stamp, but I didn’t actually read him until I was in college, at the recommendation of a friend who had discovered his shorter early novels. Of those, the one that thrilled me was The Einstein Intersection, in which Delany mixed together the stuff of classical myth with legends of the American west and contemporary pop culture, bracketing his chapters with excerpts from his notebooks. It was a bravura performance that had as much in common with things I’d been reading for my classes (i.e. Faulkner, The Waste Land) as it did science fiction tradition. I’m not sure I realized this at the time, but years later, I would see the book as similar to what Straub had been up to in Ghost Story and Shadowland, a breaking down and re-combination of the elements of its genre. When I returned to the horror field in my late twenties, Delany’s work, along with Straub’s, was a kind of guiding star to me, an example of how much you could accomplish in fantastic fiction if you possessed sufficient ambition. It was a kind of license to try weird things, to approach narrative from new and different angles.